Hot melt adhesive is a kind of thermoplastic material that is solid at room temperature and melts into a liquid fluid when it is heated to a certain temperature. It quickly forms a strong adhesive force after solidification . However, with the widespread use of hot-melt adhesives, the problems caused by the hot-melt adhesives themselves have become increasingly prominent. The matrix resin of hot-melt adhesives such as EVA, PU, â€‹â€‹PA, polyester and other thermoplastic resins belong to macromolecule organics. Because of their special chemical structure and characteristics, they cannot be degraded or hydrolyzed by microorganisms in the environment, and they stay in the environment for a long time. This has become a major hidden danger and threat to modern society. In recent years, biodegradable hot melt adhesives have emerged, especially for packaging materials such as paper and disposable sanitary appliances, which are more urgently required for biodegradable hot melt adhesives. So far, research on biodegradable hot melt adhesives has not been reported in the country. The research on biodegradable hot melt adhesives abroad has only been around for a decade or so. Currently, biodegradable hot melt adhesives are mainly made of polylactide (polylactic acid). ) Poly(caprolactone), polyester amide, poly(hydroxybutyrate/valerate) and other polyester polymers and natural polymer substrates are used as matrix resins, supplemented with appropriate tackifiers, plasticizers, and antioxidants. Agents, fillers and other components. (3) Water-soluble linear polymers are formed by hydrolysis of the unstable cross-linked chains. 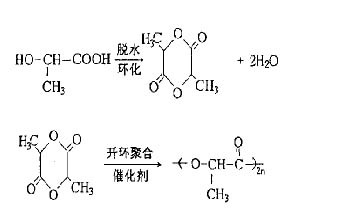 Therefore, to produce a biodegradable hot melt adhesive, the main chain should contain hydrolyzable groups such as amine groups, hydroxyl groups, urea groups, and ester groups. The degradation process of PLA is an oligomer that is hydrolyzed through unstable C-O bonds in the main chain, and then further decomposed into water and carbon dioxide under the action of the enzyme.